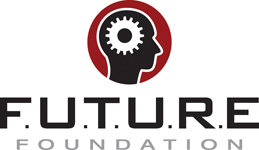 The FUTURE Foundation exists to advance robotics and technology through education. With ten years of VRC events and competitions, we know there are a great deal of old game elements out there. We would like to challenge teams to look in storage rooms, closets, and boxes to find previously used stars, Skyrise pieces, cubes, balls, etc. Take some time to think of a creative plan to give old VRC game objects a new purpose. Consider how you can make something to assist a teacher or students in a classroom, or perhaps something that can make simple tasks around the home or office a little easier. For example, we constructed a working floor lamp out of the Skyrise pieces while we were developing this challenge! VEX Robotics Competition team requirement: This contest is open to VRC and VEX U teams registered for the current season. Only one entry is permitted by the same team. Each team in a multi-team school or club program may submit an entry. For example, teams 123A and 123B could each submit an entry, but team 123A could not submit two entries. Develop a plan utilizing old VRC game elements for a new purpose with a positive impact. Create and post to YouTube a video about how the game elements are being reused, and show them in action. Videos can be up to two minutes (120 seconds) long. At the end of the video, there must be a credits section which includes the name of the entrant or entrants, team number, proper music credit if used, and any other information you want to include (software used, recognition of sponsors, etc.). The credits should be no longer than 15 seconds (Total allowed video length is 2 minutes 15 seconds with credits included). Credits must appear at the end, not the beginning of the video. Post the YouTube video link directly to this online challenge site during the submission process. Please note: you must use music in the public domain, or YouTube may delete your video. Include proper music credit. You may include text, sketches, calculations and/or photographs of the transformation, documenting your team working on the project. The report must be submitted in either DOC, DOCX, or PDF format. The recycled product should be made primarily of VEX EDR game components. The use of non-VEX components is allowed for decorations and embellishments, or for parts not provided by VEX. The construction should be safe in use, and exclude chemicals, flames, or sharp/harmful objects. Upload the report with all supporting imagery included, and post the YouTube video link directly to this online challenge site during the submission process (20MB maximum file size). Type in the Link URL, Title and Description. Include all required information, or your link may not display correctly. Judges will select at least ten finalists from the submitted entries, and will take community voting results into account in making their choices. The finalist submissions will then be judged by additional selected professionals whose scores will be combined with the preliminary-round judges’ scores to determine the winner of this challenge. The product is useful in a school, home or business setting. The recycled product is well made and functional, and safe in use. The product completes its task in a creative, fun, interesting way. The video clearly shows the item being used, and how it performs its task. The video is well made with good video, editing and use of sound and music (all music must be in the public domain). The accompanying report is clear, thorough, describes how the product works, and is well written with excellent grammar usage.